Select from our range of Stag-Do invitations and organise a truly memorable occasion. Make planning that Stag-Do a breeze with Limetree’s customisable e-invites and party management service. 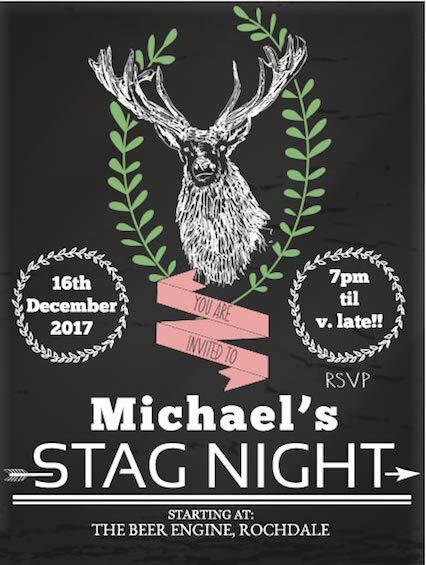 We have a great range of Stag night and Stag event invitations to choose from.